This trip to Puerto Piramides was 7 years in the making. My parents originally planned to visit the Peninsula Valdes in 2011. Unfortunately, a fall off a horse in Buenos Aires and a broken arm put the kibosh on that plan. I don't know what took us so long to finally make this trip happen, but I'm glad we did it! 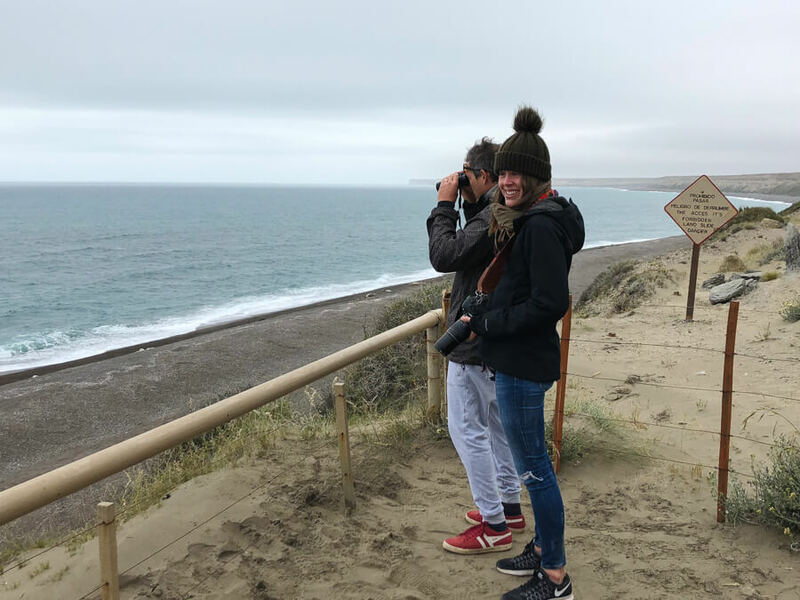 My husband and I joined them and I did my best to plan the best Patagonia wildlife safari, seeing every whale, seal, and guanaco we possibly could! We spent four days in Valdes Peninsula and I am confident we took advantage of every single minute we had. Here's our itinerary, step by step, animal by animal. 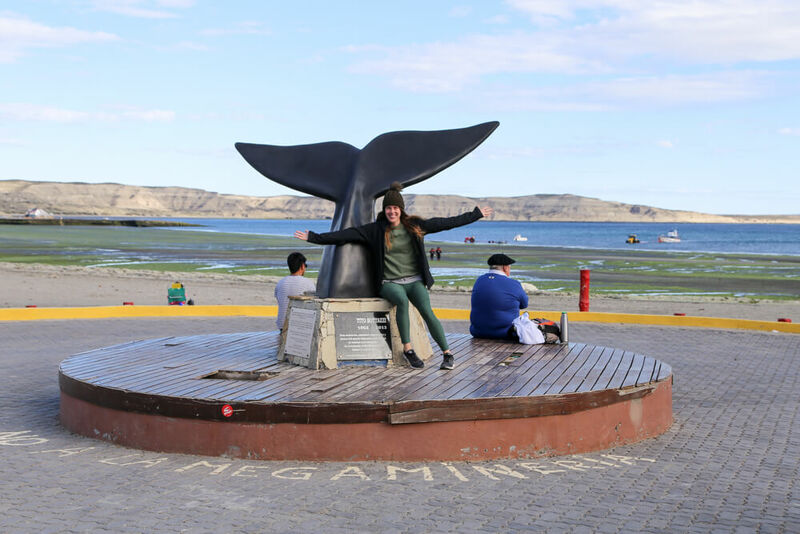 If you're considering skipping Puerto Madryn, and basing yourself in Puerto Piramides, go for it. I hope this post shows you why I believe basing yourself right inside the Nature Reserve (a UNESCO world heritage site!) is the way to go. NOTE: For logistics (when to visit, how to get here, etc), see the end of this post. Cheers! 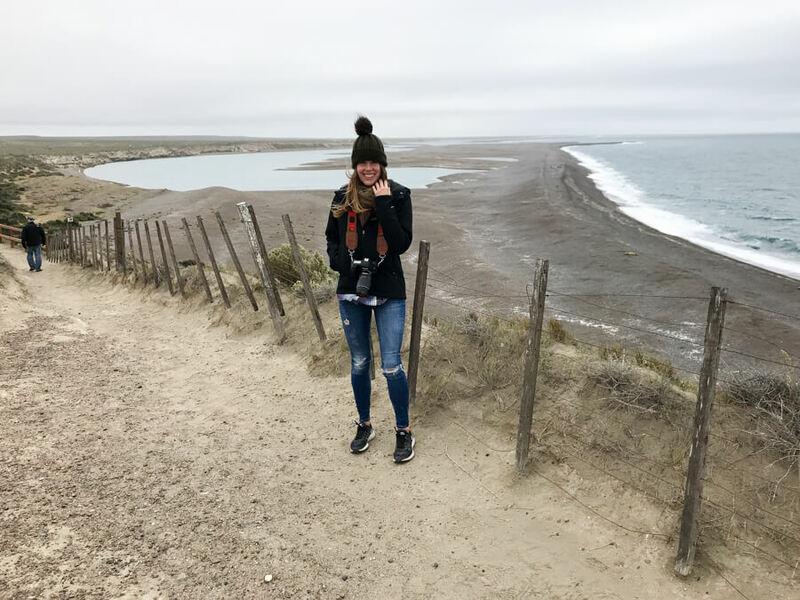 We spent four nights and five days on the peninsula in the small village of Puerto Piramides, choosing to by-pass the city of Puerto Madryn entirely. I couldn't be happier with this decision (that my dad helped us make, great call!). The magic really happens on the peninsula itself, with Madryn just being another city (in my honest opinion). The cities here, Buenos Aires aside, aren't worth the time because Argentina's beauty lies in its natural wonders. There was only one flight to choose from to Puerto Madryn, so we graciously chose that flight. We landed at around 2:30 in the afternoon but didn't have to pick up our rental car until 5. I had rented from the Budget location in town because it was significantly cheaper than the airport rentals. But since they close for a generous siesta we were stuck with our luggage and nowhere to go for two hours. We searched for a cafe that was still open (nearly everything had also closed for a midday siesta!) and we found Lizard Cafe on the waterfront. Well, near the waterfront. Like Buenos Aires, I feel like Puerto Madryn also has wasted their prime waterfront real estate. All of the restaurants are turned to face the street, not the beach. So, we chose a street-facing table and had lunch at Lizard Cafe. The food was good, plentiful and affordable with good wifi. I'd go back (and we did to wait for our return flight). After picking up our rental car from Budget, we left Puerto Madryn in the literal dust (it's dusty in the Patagonian desert). I repeat this in so many posts like a broken record, but if you can get out of the city and stay in the country or in a smaller town in Argentina, do it. If you're able to work a rental car into your budget, do so. You'll see much more of what this country has to offer you. Check for rental car rates from Puerto Madryn here. The drive from Puerto Madryn was easy and we were in Puerto Piramides in just over an hour. When we reached the neck of the peninsula we paid our entrance to the nature reserve. We paid $520 each for my parents, $280 each for my husband and I (Argentine resident price) and $80 pesos for our car. Check current rates here as they are surely due for an increase soon. 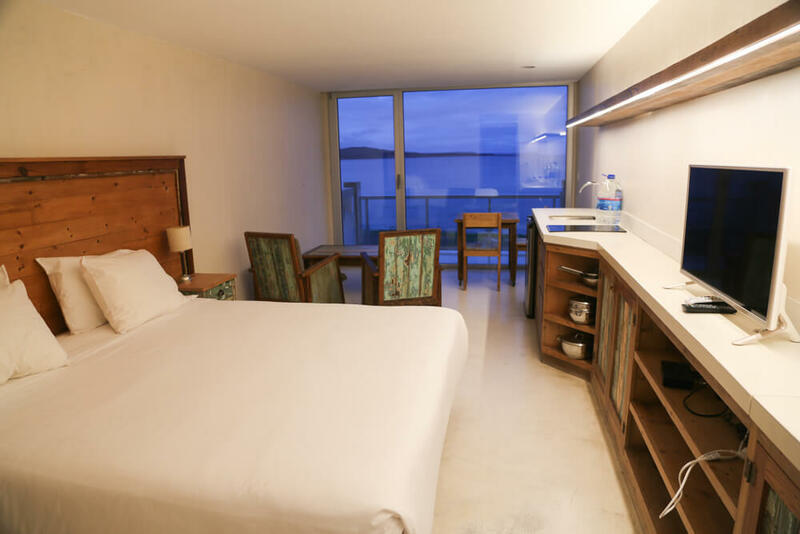 If you are staying on Peninsula Valdes inside the reserve, you only pay this entrance fee once. If you leave the reserve for the day, show your tickets as proof of payment when you return. You do have to pay the car fee upon each re-entry to the reserve. 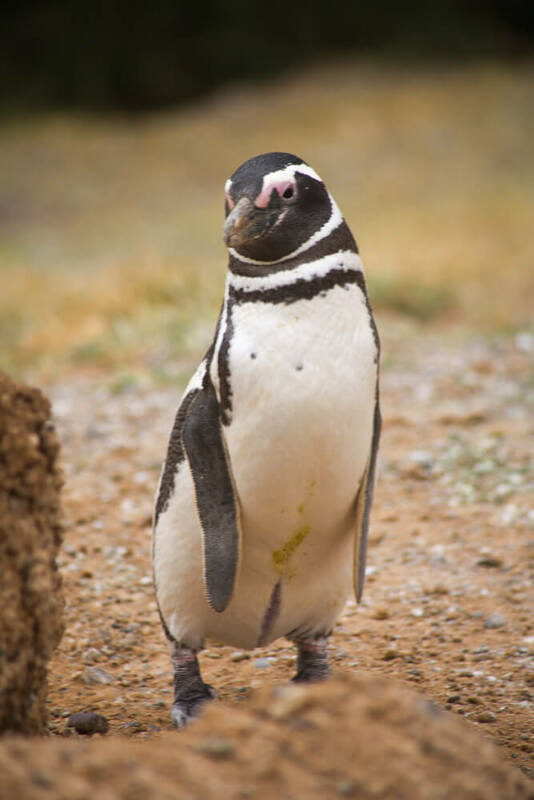 If you are staying outside of the reserve, in Puerto Madryn or elsewhere, you will be required to pay the entrance fees each day you visit. So, this is just more motivation to stay in Puerto Piramides! Our first day was spent mainly in transit, so we were relieved to check in to our hotel and unwind. Hotel Oceano is right on the beach, taking advantage of their beachfront space in every way restaurants in Puerto Madryn did not. We got to our room, opened the door to the patio and smelled the salty sea air. 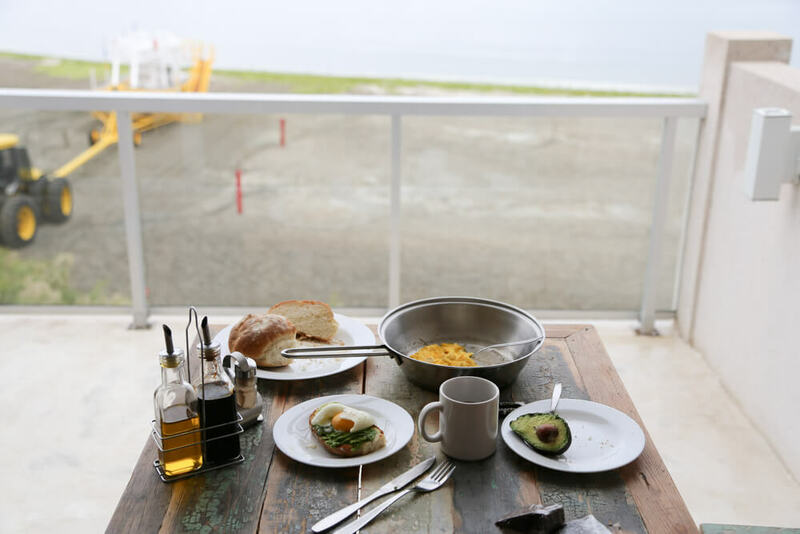 The following morning, and each morning thereafter, we enjoyed breakfast with a front row seat to the whales jumping in the bay. Breakfast was included. They stocked the mini fridge with eggs, juice, water, and apples. Each night we were given freshly baked bread and brownies. I can't recommend Oceano enough, they're the best hotel in Puerto Piramides. It's eco-friendly, the location is unbeatable, and the service was perfect. Check rates for your stay. On our first day waking up in Piramides, we were met by a rather dreary morning. We left at around 9:30, hitting the dirt road to drive deeper onto the peninsula. We decided to take the southern route towards Punta Delgada. There's a restaurant there and better, a large elephant seal colony. Halfway to our destination, we spotted the salt flats to our left. Rain be damned, we turned off the main road to have a look. Turns out there's not much to look at on an overcast, rainy morning but I believe they're actually pink from krill on a good day. If you can visit on a sunny day I'm sure it's worth a stop. We pulled up to Punta Delgada at 11:30. We were greeted by the inviting aroma of a fire being prepared at the grill. There was now zero doubt we'd be eating lunch here and disregarding the measly picnic items sitting in the glove compartment box. 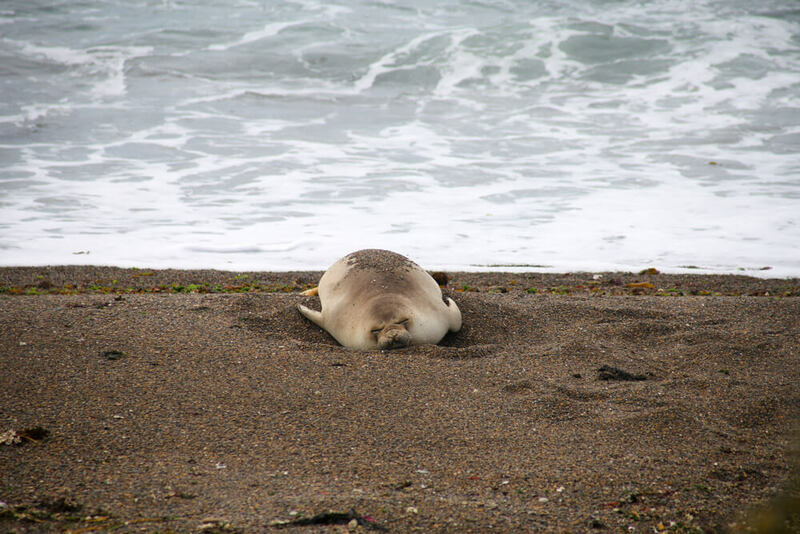 You can pay for a guide to bring you down to see the Punta Delgada elephant seal colony for $250 pesos each (as of October 2018) or have lunch at the restaurant with a complimentary elephant seal visit included. Easy decision if you ask me! But since 11:30 is a tad early for lunch, we walked to the lighthouse first to see the seals from (far) above. The road here from Puerto Piramides was inland, so this was our first real exposure to the vast coastline of the Valdes Peninsula. The cliffs here were rugged and the beach below was covered in elephant seals. The seals are large, motionless lumps of blubber that occasionally heaved themselves forward a few "steps" before collapsing back into a deep sleep. One of the males was swimming in a pool on the shore and in the water, he moved effortlessly (unlike the poor sops beached on the sand). We made our way back to the restaurant from the lighthouse for lunch. Our guide would take us down a different path after lunch to get us as close as allowed to the seals. But first, lamb. 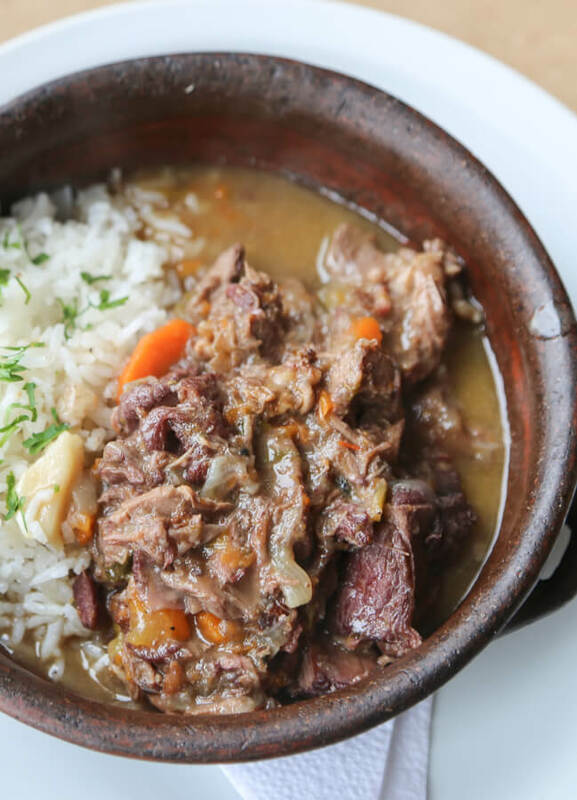 The main specialty that you have to eat in Patagonia is lamb. 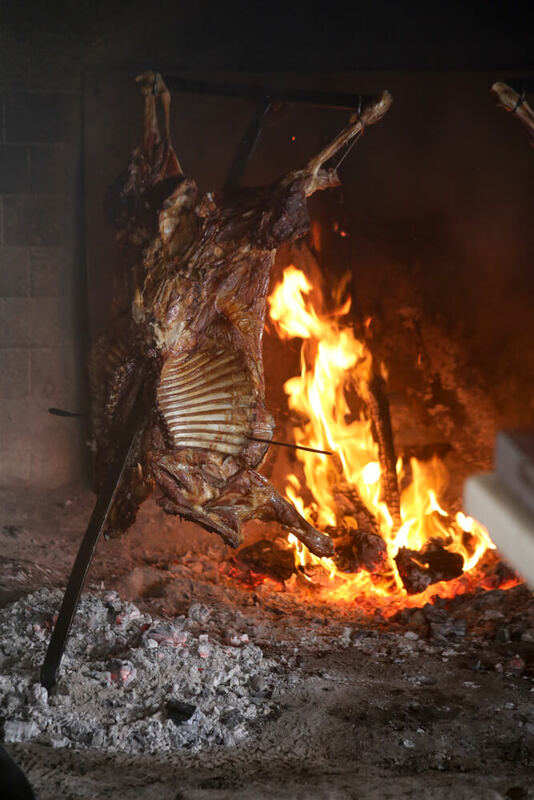 It's traditionally grilled "a la cruz," hanging from a metal cross, slow-cooked over an open fire (see above). We ordered their lunch special that included empanadas, lamb stew, and flan. I don't remember exactly but it was around $400ish pesos, which isn't bad considering it includes your seal tour after. When we were done eating, our guide took us and a small group down to the beach. Our guide didn't speak English so I'm not sure if they offer English speaking tours. I learned a lot from talking with her but even if you can't understand her, it's worth doing. You get very close while still remaining a safe enough distance for the animals' safety. You're not allowed onto the beach itself but the path gets very close. We were more or less ten meters away from one giant seal taking a snooze (above). We left Punta Delgada at 2 pm and decided to get ourselves back to Puerto Piramides. We had a sunset whale watching tour and we did NOT want to risk being late. But right before we got into town, we passed the sign for the sea lion viewpoint. Obviously, we couldn't pass that up. Compared to the elephant seals, the sea lions were loud, active and far more entertaining. Like elephant seals, they mate in harems. One alpha male mates with all the females in his harem. They slept this way as well, with one huge male surrounded by all his ladies. We watched one interloper try to sneak into another's harem and get a couple females off for himself. He failed but I did enjoy watching the fight, so, thanks for the effort buddy. We ended our first day in Peninsula Valdes with a sunset whale watching tour. I scheduled it for our first night so that if we had bad weather, we'd have a few more chances to try again. Luckily for us, the skies cleared for us. There are a couple of companies to choose from, and our hotel recommended Botazzi. We reserved their "ultima salida del dia" excursion, the last outing of the day, timed perfectly to end with the sunset. The boat left at 6 but we were checking in and strapping on life jackets and waterproof ponchos by 5:30. You don't need to bring anything on board with you except for your camera. We had a great experience with Botazzi. The guides were very friendly and gave all their instructions/explanations in both Spanish and English. They also made sure that everyone got equal whale viewing time, no matter what side of the boat you were on. Reserve your Whale Watching Excursion here. We saw so many whales, SO many whales. They got unbelievably close to the boat. One even swam under it at one point, surfacing on the other side with her (not small whatsoever) baby. The two of them spent nearly half an hour watching us, jumping and splashing just 20 meters from the boat. They took us by the sea lion colony at one point, so we could see them up close. And to top it off, a penguin swam by, as if to say hey, what's up. I would not only recommend Botazzi to a friend, but I'd also go out with them on another excursion in a heartbeat. You can reserve with them here. 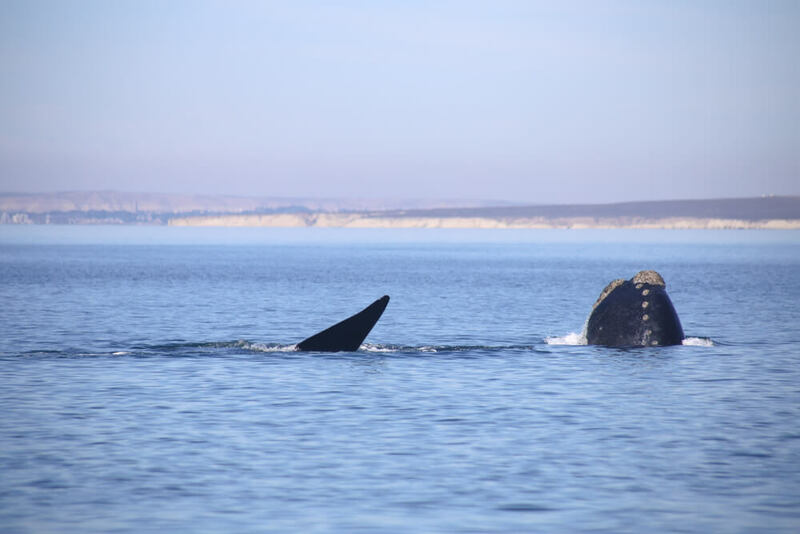 If you don't have a car and are based in Puerto Madryn, you'll need to book a tour that includes transfers like this one, that visits most of the peninsula and optional whale watching. We stumbled off the whale watching boat excited but frozen, so we went to the first restaurant we saw. La Covacha was perfect (read: they had their heater on). A hearty plate of pasta thawed me out and a huge plate of prawns made my husband happier than I've seen him in months. This was a LONG day but we saw so much. So many people do the Peninsula Valdes in a one day tour, but it took us two days to do it justice and three to fully enjoy it at a relaxed pace. We started day 2 in Puerto Piramides as slowly as our first. It was just too hard to leave Hotel Oceano bright and early. It was too comfortable! A leisurely breakfast was a requirement. 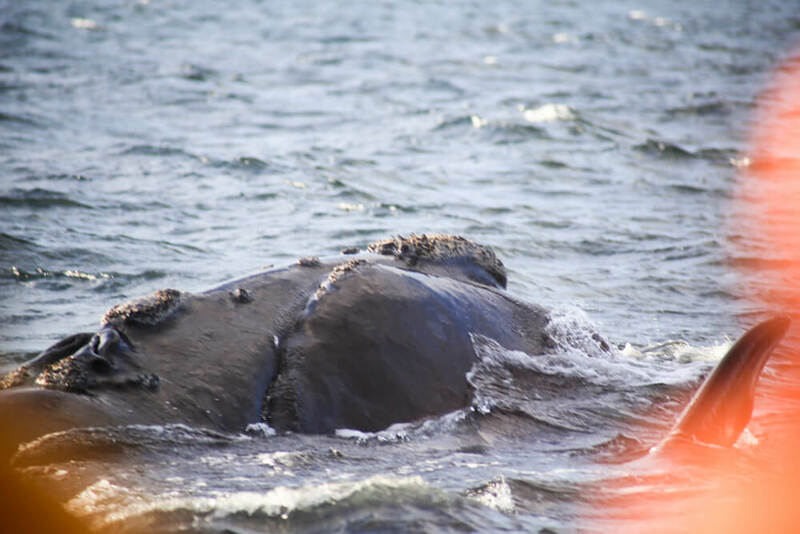 And hell, it counted as a wildlife experience because we could watch the whales while we ate our eggs. But at 9:30, we were off and penguins were the goal. We got to the Caleta Valdes penguin viewpoint at 11. I thought we wouldn't see the penguins up close, with the designated path being so far from the beach. But they build their nests almost right next to the boardwalk. There were some penguins only meters away, hee-hawing (seriously, they sound like donkeys). It was another cold, windy day, so after admiring the penguins, we drove south for ten minutes to La Elvira, a cafe/restaurant and rest stop. 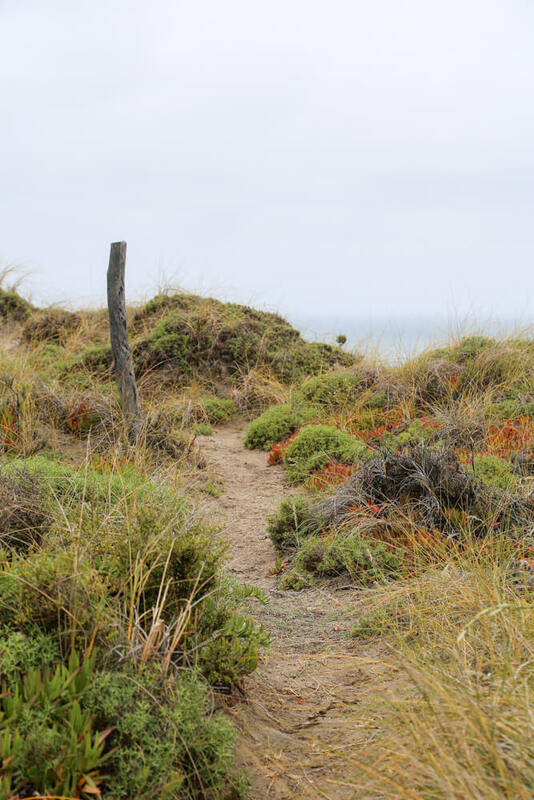 There are a few paths here leading to different viewpoints overlooking the beach and a large elephant seal colony. It's cafeteria style here and there's plenty to fill you up (choripan, empanadas, and sandwiches for example). While we thawed out with hot chocolate and coffee, sitting by the window, we finally saw it. 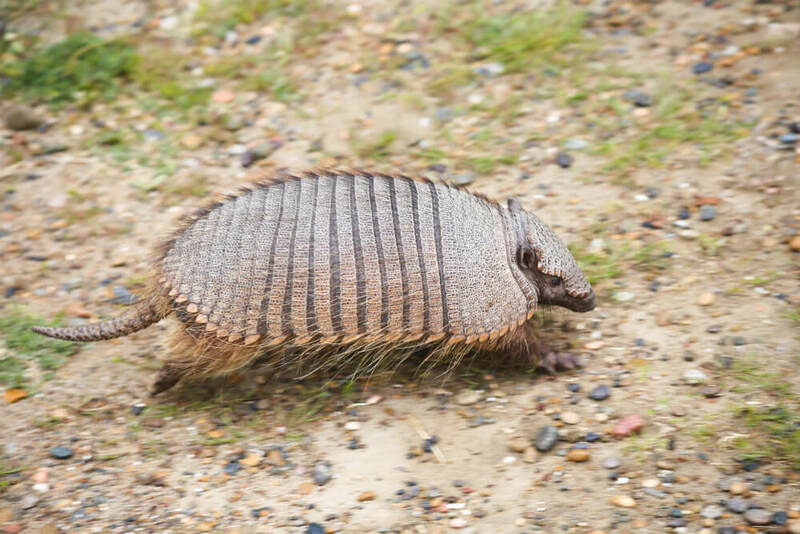 A peludo (furry Patagonia armadillo) scurried by on the sidewalk outside! I'd been dying to see one so I flew out of my chair and went after it camera in hand. I finally saw one, mission accomplished! 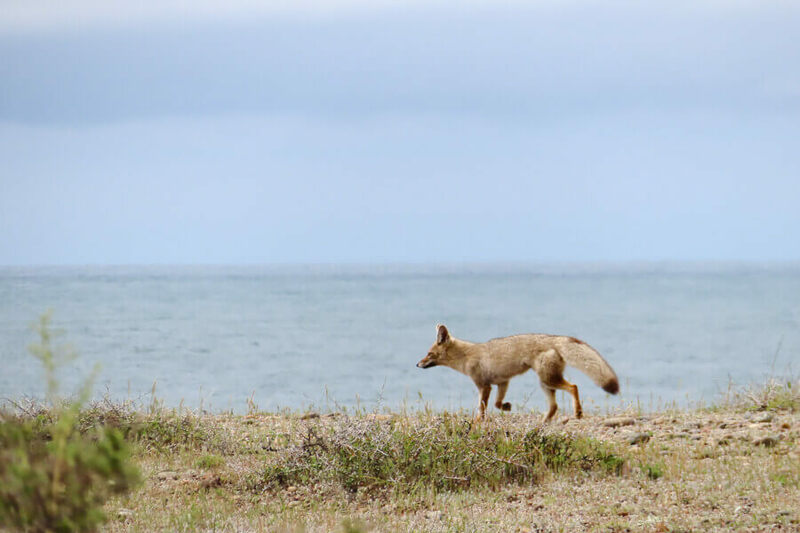 During our time on the road we also saw a lot of new animals, like a choique (cousin to the ostrich), the small martineta and a few grey foxes (below). In between the penguin colony and La Elvira, there's a viewpoint called "Mirador Elefantes Marinos" (Elephant Seal Viewpoint). We skipped it the first time and nearly passed it again the second time as we headed north on our way to Punta Norte. The idea of going back out into the cold wind wasn't tempting and we'd already seen so many elephant seals... But never one to turn down something like that (FOMO), I reluctantly pulled off the road. Well, good call because there were FOUR ORCAS there. Ironic that we almost passed it to drive to Punta Norte in search of orcas. Turns out, because of the large sea lion and seal colonies here, this is where the orcas hunt the most (along with Punta Norte). It was an hour past high tide so it was a little low. 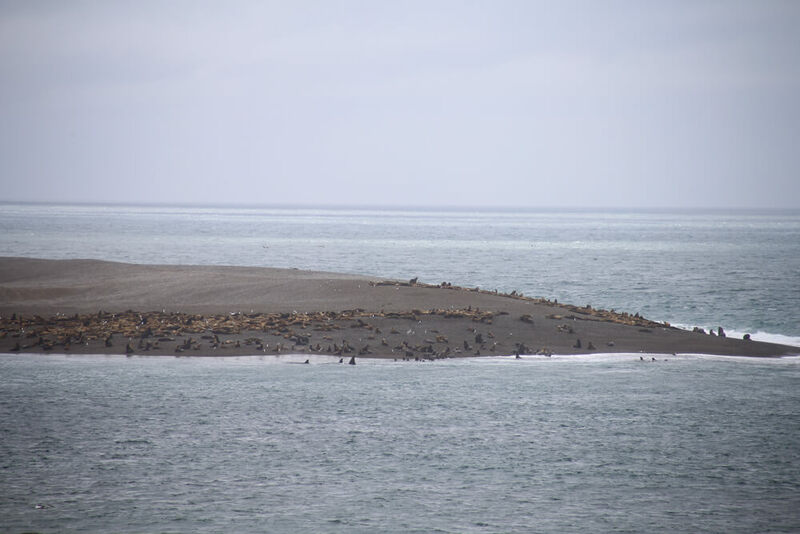 We didn't get to see any beachings (where they beach themselves purposely to grab a baby seal), but we were lucky to watch them swim amongst the seals for a good while before they left. This was a VERY lucky experience and we left on a high. It was still early in the day so we decided to keep going to Punta Norte anyway. Hell, maybe the orcas would meet us there! (They didn't). 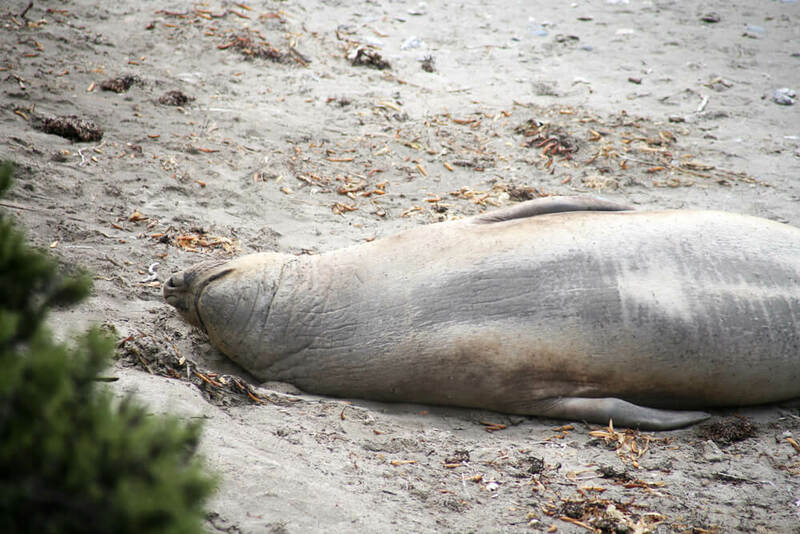 While we didn't see any more killer whales, we did see yet even more elephant seals. The park ranger here was very friendly and informative and when we told him about our orca sighting, he showed us which four we likely saw and their family tree. 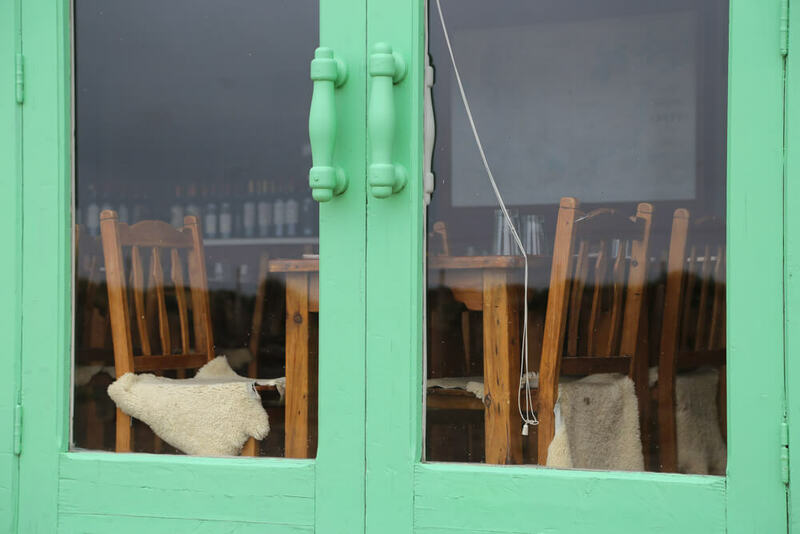 We had dinner at La Estacion on our second night in Puerto Piramides. The ambiance was great, the service was friendly and the food was fantastic. They serve pasta, pizzas, and seafood. If you're after fresh seafood in Argentina, you're in the right place. Once again, my husband stuffed himself on shellfish. We saw all of the Peninsula Valdes in two days. So on our third day, we decided to try our luck again at Punta Norte. We stayed for four hours but saw no more killer whales. Luckily, the sun had finally come out and we had a very warm day! We were able to enjoy our time here and watched the elephant seals for four solid hours. For how to see Killer Whales in Patagonia, see tips at the end of this post. If you have your heart set on seeing orcas, it's best to allow yourself multiple days. I'd love to come back with no end date set, and just say until we see them beach themselves on the hunt. While we didn't see them today, we were incredibly lucky to have seen them at all. We showed up at Caleta Valdes and saw them on pure chance. So, maybe you'll get lucky also and be at the right place at the right time! The only thing we hadn't seen by now was Bird Island (where you can see, you guessed it, birds). We ended our last full day here. Legend has it that this island was the inspiration for The Little Prince, as it looks like a snake that has swallowed an elephant. We saw a lot of birds, as promised! The island was covered in seagulls and penguins waddling about. Our flight out of Puerto Madryn wasn't until nearly 9 pm, so we were able to take full advantage of our last day here. I had decided to spend the day seeing the Welsh culture in Gaiman and Trelew, but on our way there we had one last wildlife experience to squeeze in. Playa Doradillo is right outside of Puerto Madryn, between Madryn and the Peninsula Valdes. 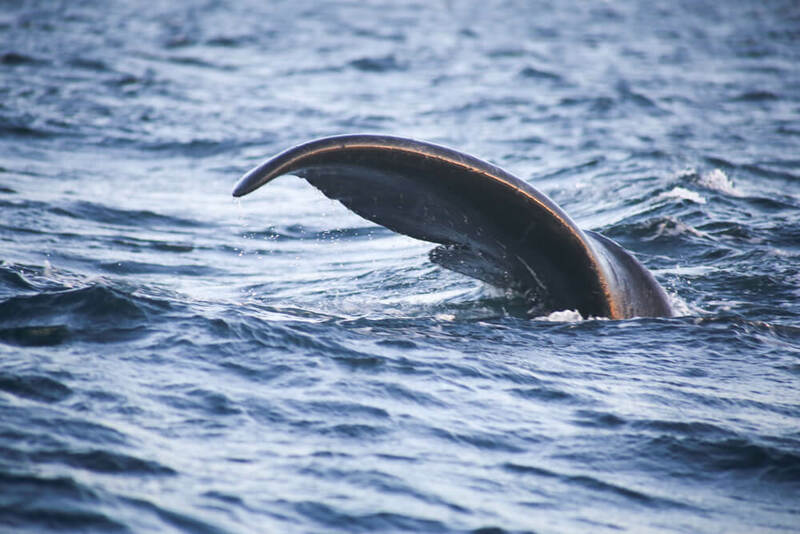 It's possible to whale watch here from the shore and see whales as close as 20 meters away! The shoreline drops off drastically very close to the beach, so the water is vastly deeper here than at the beaches in Puerto Piramides, allowing the whales to get very, very close. It's actually one really long beach with various sections, each with their own name, parking lot etc. 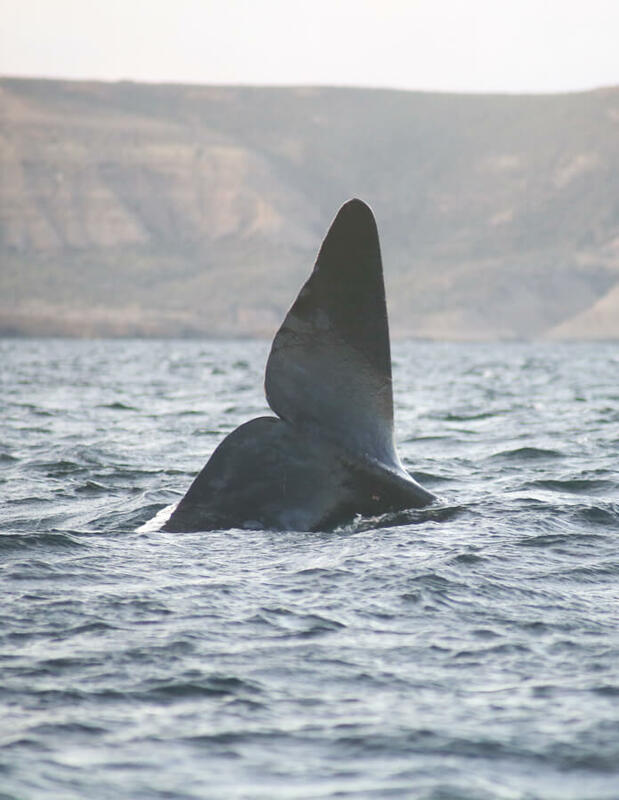 Las Canteras is the best spot to see whales. We were lucky to spot whales before we got to Las Canteras. We had this stretch of beach to ourselves and watched at least 10 whales slowly swimming by. They seemed to be relaxing. There were no jumps or splashes, they just slowly rolled around in the water and they were so damn close. When we finally made our way down to Las Canteras, the whales we had watched early by ourselves had also just arrived. There was a pretty large crowd here by now, so we were pleasantly smug and happy with our private whale watching experience down the beach. 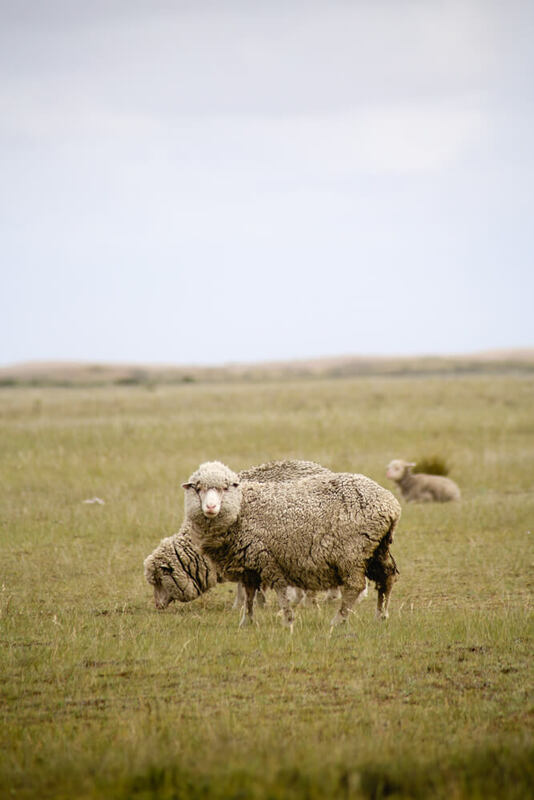 It was hard to pull ourselves away and looking back, I wish we had spent more time here rather than rush off to Trelew (read about our day in Trelew and Gaiman here). Because there's no such thing as enough whale watching, in my humble opinion. Needless to say, we'll be back one day. Killer whales hunt by beaching themselves to snag the seals from the sand, and they need high tide to do this safely. Check the tide schedule before you go. Find a spot and camp out there for four hours (2 hours before and after high tide). Be patient and if you can, dedicate more than one day to up your chances of seeing Orcas. They are here year-round, but your chances are higher in October and November when seal pups are being born. 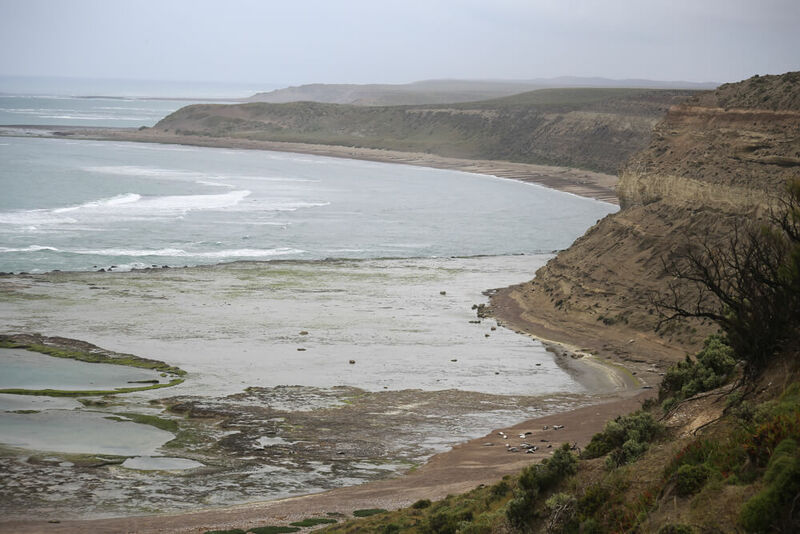 Check the tides here for Puerto Madryn and add 2 hours for Caleta Vales, 3 hours for Punta Norte. 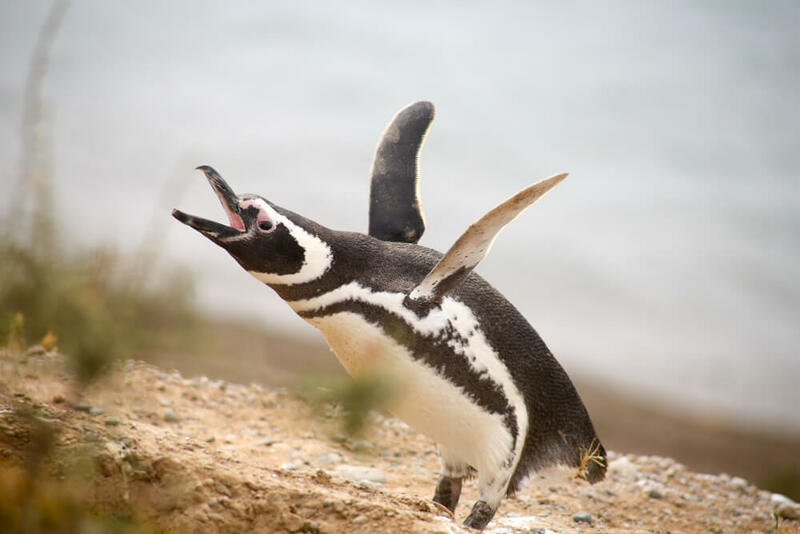 Where to see Penguins near Puerto Madryn? Punta Tombo: This is the largest colony of Magellanic Penguins in the world. BUT, it's 3 hours south of Puerto Madryn (making it 4 hours from Puerto Piramides). So it's not exactly convenient unless you're not planning on traveling elsewhere in the province. 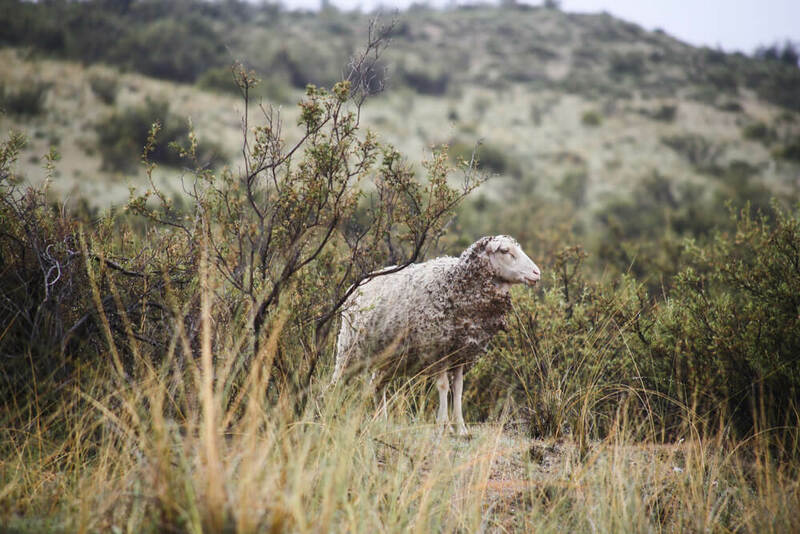 Estancia San Lorenzo: I was convinced I'd go to San Lorenzo, it was all penciled into my itinerary. Then we arrived and I found out the price: $500 pesos each for Argentine Residents, $1,500 for foreigners. Just to visit the penguins, this doesn't include a meal in their restaurant. ($1,500 pesos is an absurd, abusive price. Don't pay it. We had dinner for 4 for that price). NEXT! Caleta Valdes: This pinguinera, or penguin colony, was the Goldilocks of penguin colonies. It's on the Peninsula Valdes and it was free. 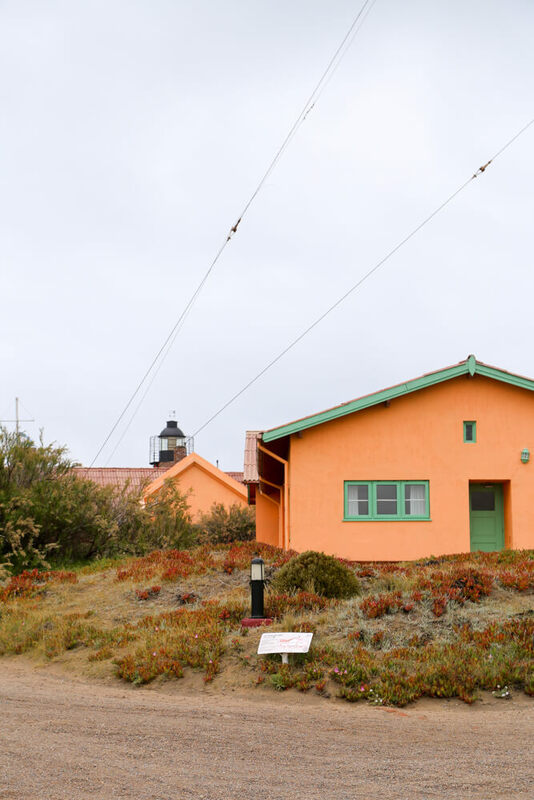 Peninsula Valdes is a great destination year-round, but if your goal is to see whales or seals, then you'll need to schedule your visit carefully to coincide with when they're on the peninsula. Right Whales for example, come here to breed and migrate south to Antarctica to feed the rest of the year. 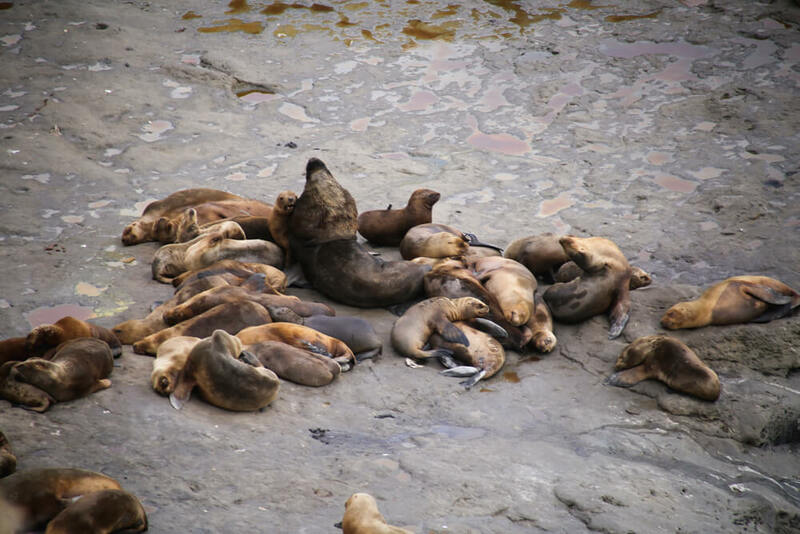 Sea Lions and Elephant Seals also come to the peninsula for a couple months each year to have their pups and mate. September and October are the best months for wildlife, but for a complete look at the wildlife calender click here. There are actually two cities nearby, Puerto Madryn and Trelew, each with its own airport. I personally chose to fly into Puerto Madryn for its location. Truth be told, the options here are limited! Compare your choices below. Like I said above, we chose Puerto Madryn. And being honest, I didn't even realize at the time that Trelew was an option! 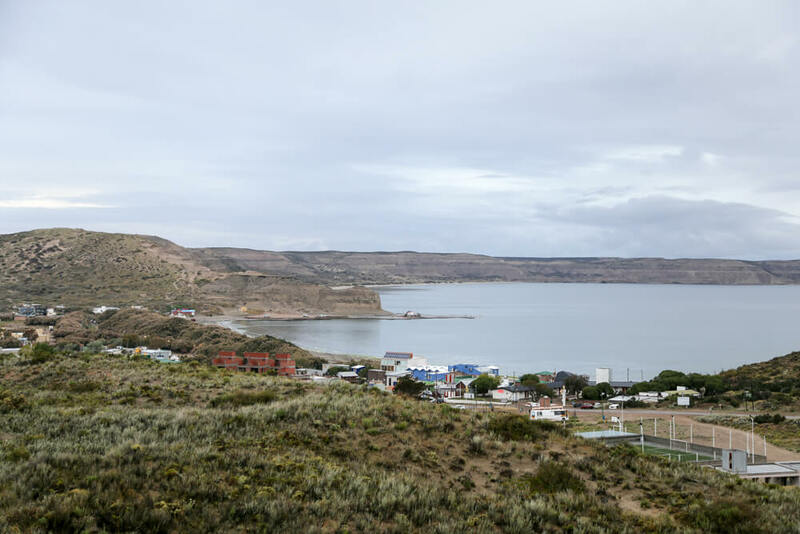 It's an easy hour and fifteen-minute drive from Puerto Madryn to Puerto Piramides on the peninsula. Only one airline flies this route, Andes Airlines, with one flight per day each way. Check for rental car rates from Puerto Madryn here. The drive from Trelew to Peninsula Valdes is slightly longer at about an hour and forty-five minutes. The drive was between Madryn and Trelew is easy (on a well-paved highway) so the distance in drive time is minimal. Aerolineas Argentinas is the only airline that flies into Trelew, but they have more than one flight per day so the timing will be more flexible. Check rental car rates from Trelew here. 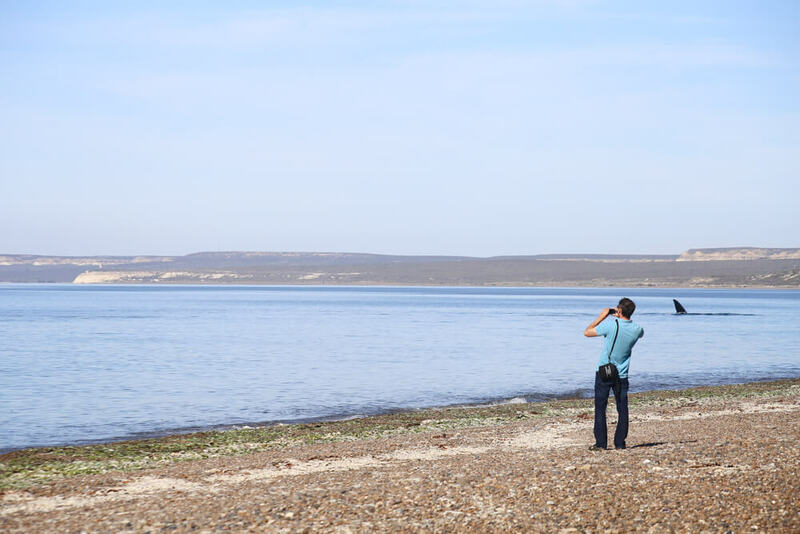 Any questions about visiting the Peninsula Valdes or Chubut? Ask in the comments!